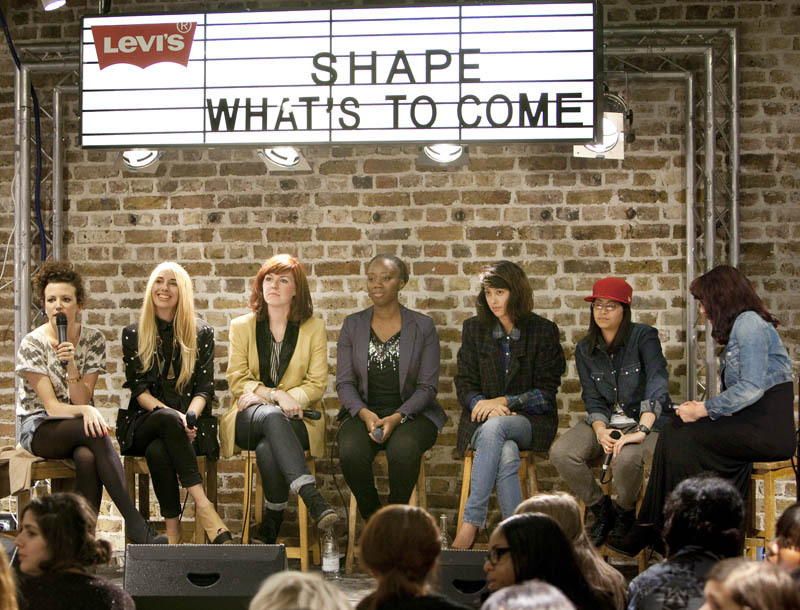 This week Levis launched a new network and community ‘Shape What’s to Come‘, where Millennial women around the world can network and interact with peers and mentors to help them progress both personally and professionally in pursuit of their passions. 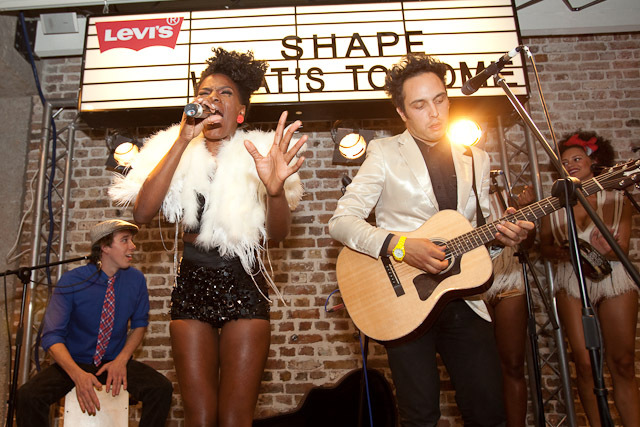 To mark the launch of the BETA site, a special event was held last week in the flagship store where Annie Mac spoke to the UK Ambassadors for the project, and we were treated to a special performance from Shingai Shoniwa, from the Noisettes. There are 5 UK Ambassadors for the community, all twenty-something trailblazers, and Think Act Vote founder Amisha Ghadiali caught up with them to find out What Future They Choose. Born and raised in London, Ikonika first became involved in music as a teenager while playing drums in bands before her interest turned to dance music and she threw herself into learning about electronic production. She started producing tracks in 2006 and was signed to her record label whilst at university studying film. Her proudest accomplishment so far is the release of her debut album, Contact, Love, Want, Have, earlier this year and she says that her inspiration comes from her partner, close friends and family. Although she feels blessed to have had so many positive influences in her life, she claims her mentor is Kode9 who gave her first break by releasing her first single and album. 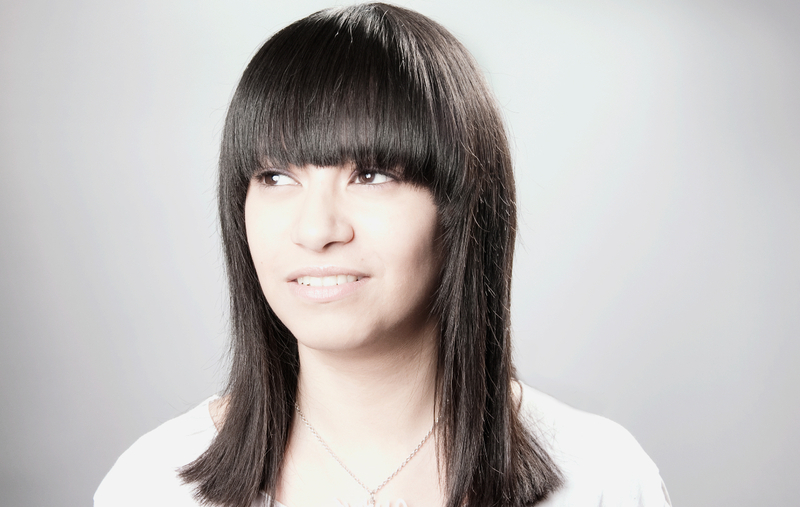 Sara Abdel-Hamid, aka Ikonika, has been hailed by the Guardian newspaper as “one of UK dubstep’s sharpest talents”, and the title has been well earned. Ikonika’s drive as a producer and DJ comes from finding new challenges and taking risks; she’s no fan of formula or repetition. She feels like she has always been and always will be a student of music as it’s vital for her to keep interested and learning. Her inquisitiveness led her to discover where music comes from and how to blend modern production with authentic soul. From there it was only a natural progression for her to actually start making music herself. Ikonika regularly mentors friends and colleagues on their musical projects, drawing on her own experience to coach others. She measures success as being able to do what she wants for a living and to enjoy her work. One of the most helpful pieces of advice she was given is to make music for you and only you and not to worry what the next person is doing; just be yourself. Originally hailing from New York, Kristin Knox is a London-based fashion blogger, journalist and burgeoning author.Kristin started www.theclotheswhisperer.co.uk, a smart critique on contemporary fashion, to blend her love of literature with her passion for fashion. She’s since written a book and is rapidly developing a global profile as an influential voice in the world of fashion. Kristin’s academic achievements include a BA in English and Classics at Wellesley College and a two year Masters of Philosophy (mphil) in Classical Languages and Literature (Greek & Latin) at Corpus Christi College, Oxford University. One of the academic-turned-fashionista’s greatest achievements is Alexander McQueen: Genius of a Generation, a tribute book dedicated to the work of the late designer. She is building on the success of her first publication with a second book, Culture to Catwalk: World Fashion, which is due out in September 2011 with her first novel also in the works. Kristin leant that fashion was about more than just clothes following an internship at the FT Weekend fashion desk. It was there that she discovered fashion can be a useful and unique vocabulary with which to discuss the world around us, including politics, economics, history and psychology. With job opportunities limited in the recession, she decided to start her own blog and carve out her own path in the industry. Founded in August 2009 by Art Director Anna Murray and Textile and Surface Designer Grace Winteringham – Patternity manifests their shared vision and mutual appreciation for pattern found everywhere and everyday ‘from the mundane to the magnificent’. The duo met just over a year ago when both were working on personal projects that involved experimentation with pattern across the creative fields. 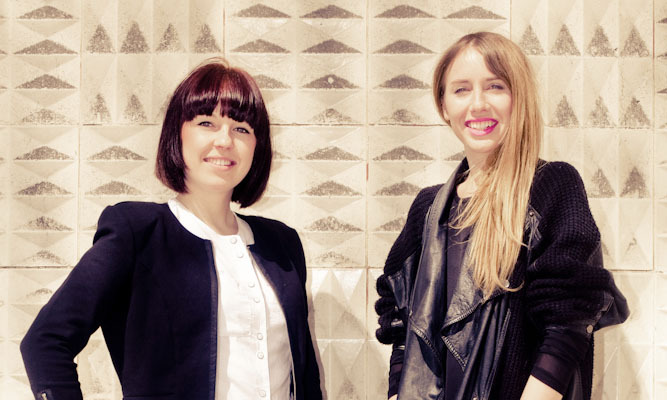 Anna was working as an Art Director within the fashion and Luxury fields and Grace was working on various projects as a freelance designer specialising in surface pattern design. They realised that their similar eye and passion for pattern was an opportunity to build a network that could share imagery and inspiration. Through the patterns they seek, the work they do as a studio and the items they sell in their online shop, including their cult hand printed pattern tights, Patternity encourages viewers to change perspective and embrace the overlooked – enhancing the everyday. Patternity operates as a studio and online resource for pattern imagery where each photo is curated, sourced, or taken by the designers themselves. The duo finds an abundance of inspiration on their doorsteps – enough to spur them into action. Whilst many personal and academic contacts have helped to get them to where they are now but they cite each other as their personal and professional mentors. Belfast-born Kathryn Ferguson is a self-taught filmmaker who is helping to pioneer a new genre of filmmaking called ‘Fashion Film’. 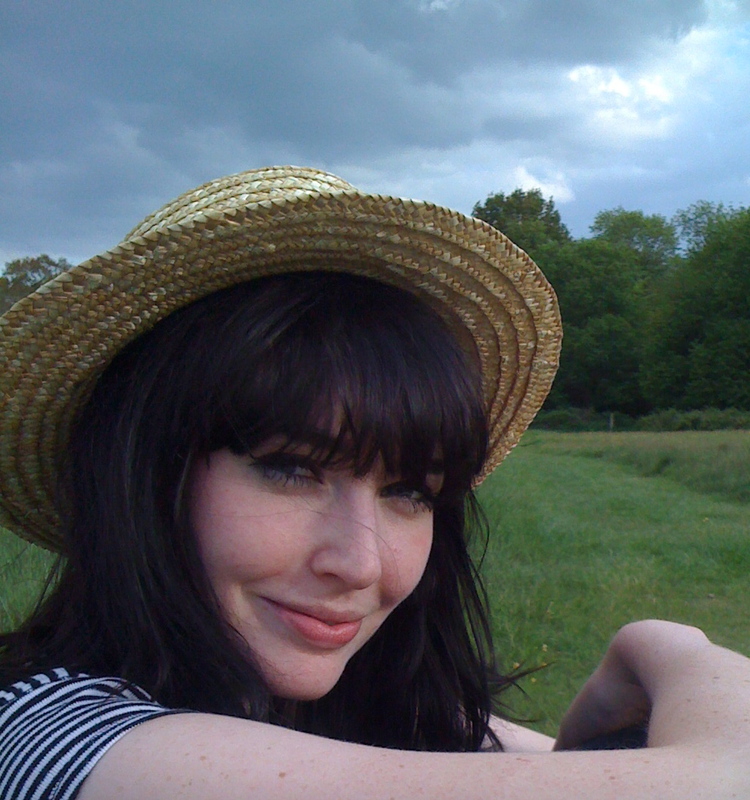 After graduating in Fashion Communication at Central Saint Martin’s, Kathryn wanted to break into the world of film but the lack of job opportunities in the industry for women drove her to fashion as a freelance assistant and stylist. Unsatisfied, three years later she took a risk and began exploring how to turn her “little experimental shorts” from a hobby into a career. Kathryn’s big break came in 2007 when she entered her short film ‘Tingel Tangel’ into the Birds Eye View Film festival. It was selected for their UK Shorts strand and screened in London’s prestigious ICA (Institute of Contemporary Art). On the back of her success, Kathryn was asked to work for Birds Eye View curating a new strand dedicated to the ‘Fashion Film’ genre at the ICA the following March, thus cementing her fledging film career into a proper profession. The popular event continues to take place each March. Recent commissions have included a film for Dazed Digital featuring Lady Gaga as well as shorts for fashion designers Katie Eary, Richard Nicoll, David David, Theatre de la Mode, Yoox.com, The British Fashion Council and Erika Trotzig. 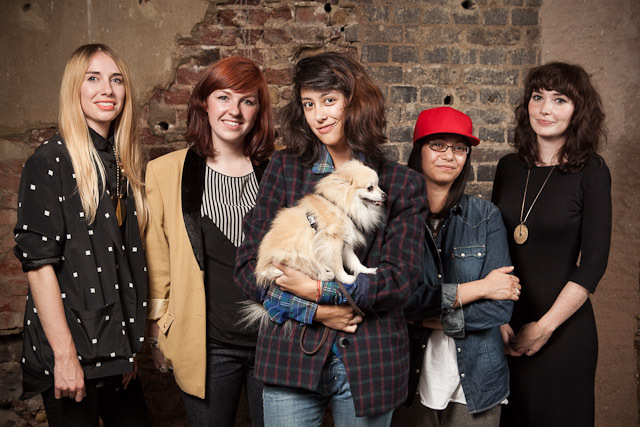 Her work has been featured on the likes of SHOWstudio, Testmag, BBC, MTV and in British Vogue. She also works with musicians and has had her more experimental videos shown at The Barbican, the National Film Theatre and featured in art publications. Kathryn’s mission is to bring the art of fashion to life on the screen and explore an entirely new way for designers to showcase their collections. Hungry to learn more, Kathryn is currently finishing a Communication Art & Design MA focusing on experimental film at the Royal College of Art as well as continuing with commission based work. Justice discovered her passion for helping others when she was 21. After taking the wrong path in life and ending up with a criminal record, she decided that being irresponsible was not going to make her successful. Unable to pursue her dream of studying law, Justice decided that she wanted to change the lives of those less fortunate than herself. 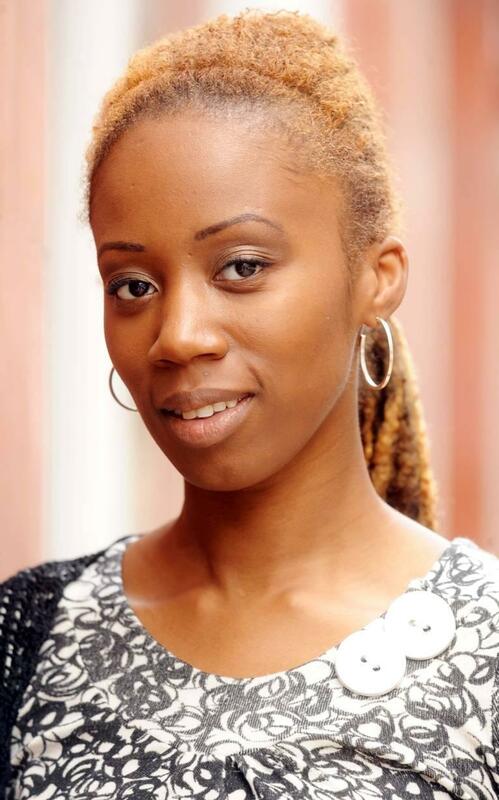 Her journey began after volunteering to work on a community project for disadvantaged young people such as gang members, teenage parents and those who had been subject to the Care system. Using her communication, social skills and great capacity for empathy, she was able to be constructive and encouraging to those in need of education and opportunities. After amassing enough experience and expertise, Justice decided to go it alone by starting her own company for social change and founded the Inner City Creative Media Group which trains 17 to 26-year-olds in media and business skills. Justice is combining her love for the creative industries with her drive to create social change and inspire those around her. While Justice was honoured to receive her MBE from the Queen, becoming the youngest woman of Afro-Caribbean heritage to receive the award, her proudest achievement was being recognised as the Most Inspiring Woman of the Year at Cosmopolitan magazine’s Ultimate Women of the Year Awards in 2009. The category had been created especially for her in recognition of her pioneering work with Birmingham’s underprivileged youth. What Future Do You Choose? Tell us. Think Act Vote founder Amisha Ghadiali, has been chosen as a millenial woman and founder member for Shape What’s to Come. She has taken part in the TED travelling journal which we will tell you more about in due course. You can see her profile here.